Irene Park was 37 years old, six weeks pregnant and worried. She was cramping and bleeding. When her blood tests showed low levels of HCG, a hormone vital to maintaining early pregnancy, her doctor confirmed what she feared most: She was going to have a miscarriage. Park was devastated. She had endured in vitro fertilization (IVF) to become pregnant, and to learn that she was having a miscarriage seemed too much to bear. But two weeks later, when she returned to the hospital, doctors discovered she was still pregnant with a viable embryo. Park was rattled but extremely relieved. At the next visit, her doctor recommended genetic testing. Park, who wanted no more surprises, readily agreed. Thirteen weeks into her pregnancy, she had her blood drawn, and 10 days later she received good news: Not only was her fetus viable, it was also most likely free of the more common chromosomal disorders. Park’s is a textbook case of how prenatal genetic testing can help parents-to-be. Because she was older than 35, she was at higher risk for carrying a fetus with genetic disorders. Because she had complications, she was eager for any additional information that could ease her worries about the pregnancy. For many parents, genetic testing can offer peace of mind. Just a few decades ago, the only way to detect genetic disorders was to have the pregnant woman undergo an amniocentesis, an invasive procedure that can put both the fetus and the mother at risk. Today, there is a variety of screening tests that measure risk for genetic disorders through simple blood draws (see chart below). In Park’s case, she took the newest and most accurate blood test available: a cell-free DNA (cfDNA) or non-invasive prenatal test (NIPT). CfDNA tests have a significantly higher rate of accuracy than other blood tests that screen for genetic disorders. This means that women like Park who receive normal test results can skip invasive diagnostic tests like amniocentesis or chorionic villus sampling (CVS), and they can rest assured that their baby will most likely be born without the most common chromosomal disorders. Though these tests can give reassurance, a normal screening result does not definitively mean that a baby will be born without genetic disorders. 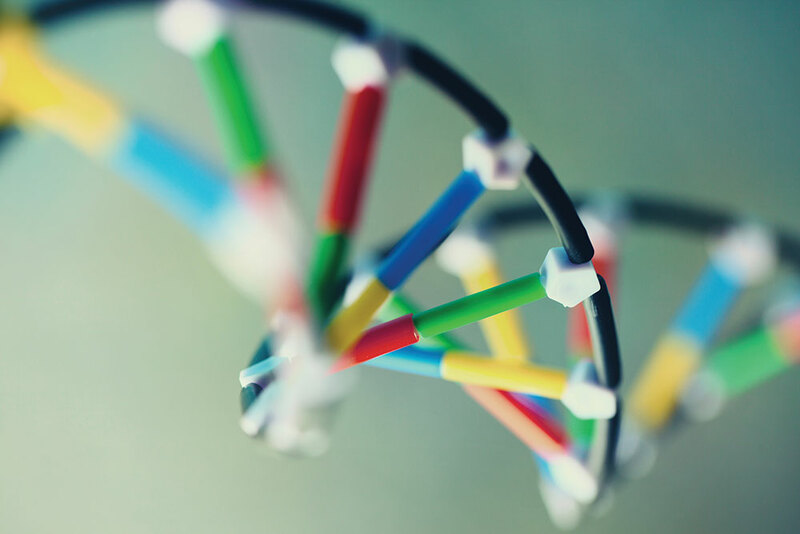 Corporate-sponsored studies have shown that the cfDNA test has up to 99 percent accuracy in predicting increased risk for Down syndrome and 98 percent for Edwards syndrome (trisomy 18), but only 65 percent for Patau syndrome. Because of this uncertainty and disputes over rates of false positives, women whose cfDNA results show increased risk for a genetic disorder need a follow-up amniocentesis or CVS to obtain a definitive answer. These diagnostic tests can confirm or negate the results of an abnormal screen as well as test for a host of additional genetic disorders. Although there are no cures for these conditions, early detection can be useful for two reasons: Parents can start preparing to raise a child with disabilities, or they can opt for early termination of pregnancy. Especially in the cases of Edwards and Patau syndromes, which are often fatal, an early termination can spare the complications of a later procedure, or the pain of giving birth to a stillborn baby or a baby likely not to survive beyond its first month of life. While prenatal genetic testing can offer relief for some parents-to-be, for others, it can bring more worries. I, for one, spent most of my recent pregnancy anxious about test results that showed a high risk for Down syndrome. If Park’s was a textbook case of how genetic testing can help, mine was a textbook case of how genetic testing can harm. When I was 16 weeks pregnant, my doctor sent me to get a series of blood tests. It was only when the results came back that I realized one of the tests was a screen for genetic conditions — specifically, for Down syndrome, Edwards syndrome and two types of neural tube defects called spina bifida and anencephaly. The results were normal for three out of the four conditions. At the time I didn’t even know enough to feel relieved. All I knew, based on the test results, was that the fetus I was carrying had an abnormally high risk — a 1 in 26 chance — of having Down syndrome. My doctor recommended an amniocentesis to verify the results of the blood test, which I now know was the quad screen. My husband and I spent the next three weeks debating. We hadn’t wanted genetic testing in the first place, but now what? Because we weren’t given the option to decline the quad screen, we were thrown into an unnecessary and unwanted cascade of questions and potential interventions after the results came back. This “why not?” attitude toward genetic testing is a recent development, and one that is important for parents-to-be to understand. What resulted was a cultural shift that repositioned genetic testing as more of a “main course” in prenatal care rather than an option on the side. Other factors that contributed to this shift may include a greater need from the increasing numbers of women having their first children after the age of 35, and the overall tendency toward more intervention in prenatal care. Since 2007, the American Congress of Obstetricians and Gynecologists (ACOG) has recommended that all women, regardless of age, be offered genetic screening. ACOG is clear in cautioning that these tests should be offered as a choice, with information on false positive rates, risks and benefits. Regarding the cfDNA screen, ACOG issued a recent recommendation that despite corporate-sponsored studies to the contrary, the cfDNA test should only be offered to women with high-risk pregnancies rather than to all pregnant women. In practice, though, these standards can be swept away, making it all the more important for parents-to-be to have the information necessary to advocate for themselves. Some hospitals order first-trimester genetic screening tests for their patients as part of their standard-of-care procedures. This means that at these hospitals, patients will undergo a special ultrasound called a nuchal translucency (NT) test, a first-trimester blood test, or both (together known as the combined first-trimester screen) unless the patient takes the initiative to opt out. Though good results might seem to support the “why not?” practice, there are actually plenty of reasons to opt out of genetic testing. In fact, a recent study shows that the more information women have, the more they choose to decline prenatal genetic tests. Medically, if you’re younger than 35 and have no family history of genetic conditions or birth defects, the tests may simply be unnecessary. After all, 95 percent of babies in this country are born healthy. Scientifically, there is always a chance that screening results are wrong. So unless you are prepared to do an invasive amniocentesis or CVS test, genetic screening alone can create false expectations and cause needless worry. Financially, tests may be a burden for some parents, because not all genetic tests are fully covered by insurance. The cfDNA test could cost nothing, or it could cost as much as $2,000 out of pocket. Personally, you may not be prepared to choose pregnancy termination or may not want to contribute to a culture that screens out disabilities. Or you may simply want to enjoy your pregnancy with minimal intervention. I know I did, and I wish I had been given that choice. “Even in [this area], some hospitals tend to give patients more information about tonsillitis than about many things related to prenatal care,” says Katherine Turla, a gynecology nurse in Seattle. We may have a long way to go toward a culture of informed consent for prenatal genetic testing, but there are good models to follow that can help us get there. According to Oehler, informed consent should start with a conversation with your caregiver. Ideally at your first or second prenatal visit, your caregiver would give you an overview of genetic testing options. If this doesn’t happen, you can ask for it as well as for documents explaining available tests. You could also request an explanation of each blood test your caregiver orders, to ensure that a genetic screen is not ordered by default. Some midwifery clinics and hospitals have established informed consent processes for genetic testing. For example, at Pacific Natural Birth, midwives use a detailed informed consent document to discuss genetic testing options. This document, which is available at their office, is a good model for all care providers and also for parents-to-be who want to advocate for themselves. If you are considering genetic testing, you can ask your provider for a document like this. At any point you can also ask to talk to a genetic counselor. At Midwife Seattle, which has a process and consent form similar to that of Pacific Natural Birth, clients who want additional support are referred to counselors who work with a partner alliance of care providers. At the primary birthing hospitals in the Seattle area, genetic counselors are integrated into the prenatal care process. According to Nancy Palmer, a genetic counselor at Swedish Medical Center in Issaquah, caregivers usually refer patients to counselors at around 11–12 weeks into their pregnancy. If patients elect to be tested, counselors will continue to meet with them throughout their pregnancy to discuss results and options for further testing. Genetic counselors are a critical resource to counter the “why not?” pressure of prenatal genetic testing. If you don’t have access to a counselor, you can take steps to educate yourself in order to become your own advocate. 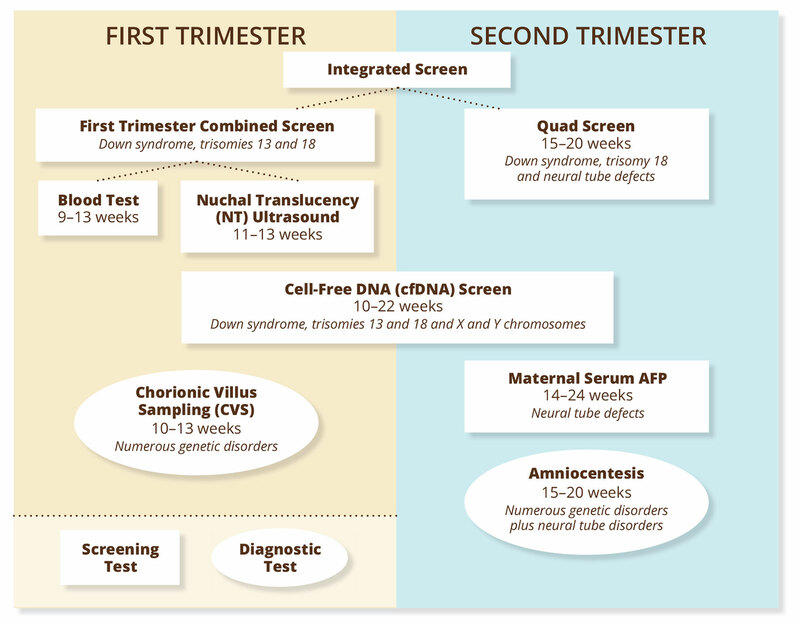 The Lytle Center at Swedish First Hill has a new prenatal genetic testing class designed to prepare you for decision making with your care provider. The one-hour class is open to anyone, but is recommended for those considering pregnancy and for parents-to-be in their first trimester. Prenatal genetic testing is expanding and is here to stay. In the near future, genetic tests will be able to show not only what conditions a baby may be born with, but also what hereditary diseases he or she could develop later in life. How much of this information is useful, and how much is too much? That’s a question that only parents-to-be can answer for ourselves. Jen Soriano is a freelance writer and communications consultant for social justice organizations. She is her 10-month-old son’s personal assistant and is a co-founder of the Center for Media Justice, which recently helped win net neutrality for all. Connect with her on her website or on twitter.